The „Musee Picasso“ is one of the most important museums in Paris. It is located in the Hotel Sale, a picturesque city palace in the 3rd arrondissement and houses one of the largest collections of drawings, sculptures, ceramics and paintings by the Spanish painter. 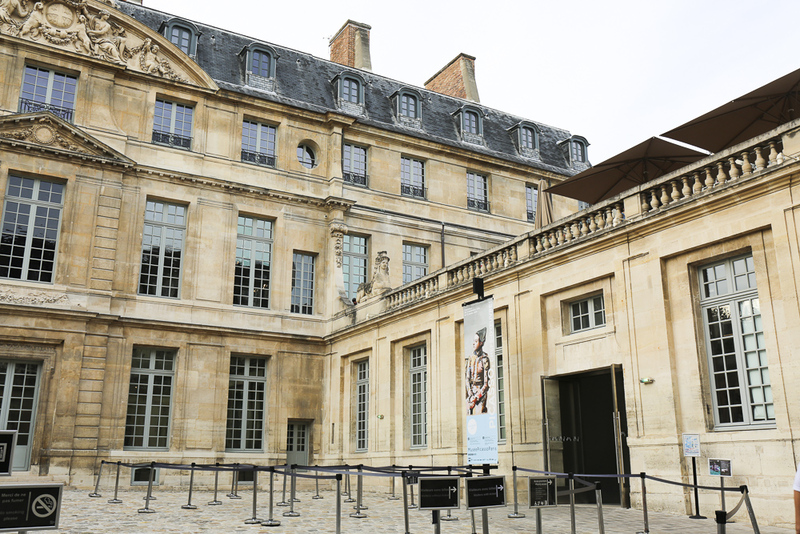 Another highlight of the museum’s collection is Picasso’s art collection, which contains some 300 works by artists such as Cézanne, Matisse and Miro and was once handed over by his heirs to the French State to pay the considerable inheritance tax. Inaugurated in 1985, the museum was beautifully designed by Swiss designer Diego Giacometti with grandiose ceiling lamps, stair railings and furniture. Among the best known works in the museum, reopened and modernised in 2014, are Picasso’s „Self-Portrait“ (1901), „Portrait of Olga Koklova“ (1917) and „Massacre in Korea“ (1951).